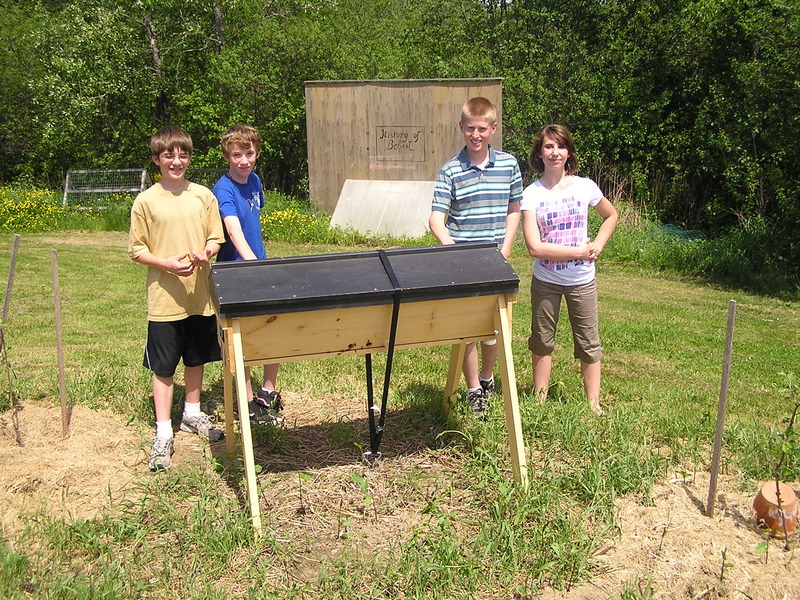 Thanks to Christy Hemenway and Goldstar Honeybees we now have a top bar bee hive in the garden. Christy has placed it here for demonstration and it has been successful up to this point. The most recent update from Christy was that our bees had a good chance of surviving the winter. The kids love to drop down the hatch in back for viewing the bees in the hive.